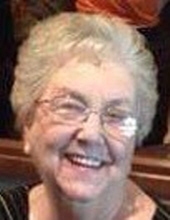 BETTY K. FADDOUL (nee Ross) age 78, beloved wife of 53 years to James R.; loving mother of Mary Gundel-Gyure, Mark (Joei), Matt and Mitchell, and Stacy Wishner Faddoul; dear Nana of Kelsey Gundel, Casey Jade, James, Maxwell and Jordan; sister of Butch Ross (Betty) and the late Leroy Ross (deceased) (Shirley). Betty was a Registered Nurse helping people of 45 years with most of her career working at Southwest General Hospital. Passed away, Monday, October 29, 2018. Friends may call at the McGORRAY-HANNA FUNERAL HOME OF WESTLAKE, 25620 Center Ridge Rd, (West of Columbia Rd.) MONDAY, November 5th from 4 – 8 pm. Interment private. "Email Address" would like to share the life celebration of BETTY K. FADDOUL. Click on the "link" to go to share a favorite memory or leave a condolence message for the family.